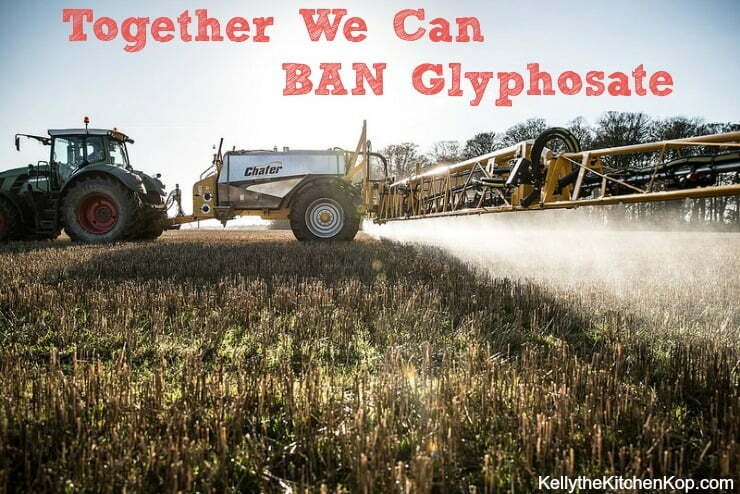 Blog »WE Can Help Ban Glyphosate — Real Foodies UNITE and Big Brother Be Gone! In other words, the more glyphosate we've fed to ourselves and our families (for example, high levels in all processed and convenience foods, OR injected directly into our bloodstream through vaccines in combination with chemical activators like mercury), the more our children have suffered permanent neurological damage. Not to mention all of the other health issues and what it's doing to the rest of us: it's a known neurotoxin, endocrine disruptor, and carcinogen, yikes. 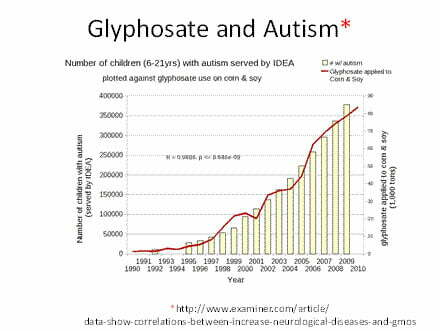 Our chance to change all of this started in 2015 when the International Agency for Research on Cancer (IARC) of the World Health Organization reclassified glyphosate as more toxic than previously claimed by industry manufacturers. Based on their own independent, rather than industry-sponsored, laboratory tests, the IARC redefined glyphosate as a “probable” carcinogen. Yes, you and I can help BAN glyphosate from our food, but we must act by JUNE 21st! First a quick note from Kelly: It blows me away how the more educated we all become about what we put into our bodies, the more the food system actually changes in response to our demands. Slowly but surely we're seeing more labels stating things like, “GMO free”, “No high fructose corn syrup”, or “Trans-fat free”. It's like a dream come true for this real food freak! We need glyphosate to be next on this list, because once that happens, as Joanie explains below, there's bound to be a higher demand for chemical-free food and it'll slowly become the norm. 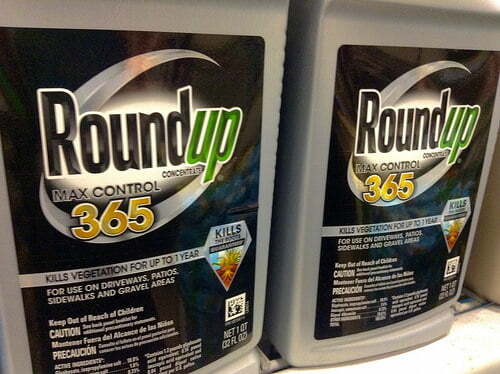 Monsanto long used the slogans, “It's Safer than Mowing,” “Biodegradable,” and “Environmentally Friendly” to describe Roundup — until the real effects of this toxic herbicide were revealed and they were forced to discontinue their deceptive advertising. Glyphosate, the active ingredient in RoundUp, is the most commonly reported cause of pesticide illness among landscape maintenance workers in California.” Source: France Finds Monsanto Guilty of Lying. This opportunity most likely won't return again for YEARS! So read carefully. The California EPA scientists are currently suggesting that 1100mcg is the amount of glyphosate that's “safe” on a daily basis, which is ridiculously high. But this isn't in stone YET. Not only is that suggestion based on adult sized bodies only and does NOT take into account the smaller bodies of unborn fetuses, babies and children, but it is also wildly unrealistic. For example, a single oatmeal cookie from the CA State Capitol Building's Cafe, tested in 2016, contained 311mcg of glyphosate. Furthermore, the proposed level does not factor in glyphosate sprayed at schools, playgrounds, near farms, or backyard gardens. California will NOT make a final decision until it hears from the public FIRST on the topic of how much glyphosate is a “safe” amount. We all know how much glyphosate is “safe”: ZERO, ZIP, NADA. You do NOT have to be from the state of California to comment on this issue! Governmental doctors and scientists have made it clear to anti-glyphosate activists that they are LISTENING to us! But they need us to use our voices to create a clear picture of what the public wants or else they have no leverage to push against the industry's corporate influence. Here's our hidden backdoor to defeating Big Brother! If California sets the minimum exposure level to a very low or NO level, then Monsanto and the chemical producers of the herbicide itself, as well as all the giant food manufacturers who use glyphosate-containing food in their products, will be forced to put a warning on their label. The label would have to say that, according to the state of California, using or consuming that product may lead to excessive exposure to a “probable carcinogen”. General Mills will never do that and that's game-over, folks!!! Instead, all industrial food manufacturers nationwide will remove glyphosate-containing ingredients from their products rather than put a warning label on the outside. And with new markets then opening for glyphosate-free wheat, corn, soy, etc., farmers nationwide will switch to growing non-GMO or organic crops, and THAT friends, is how we join forces to ban glyphosate! Gyphosate has been shown to be a neurotoxin, endocrine disruptor, mineral chelator, antibiotic, and carcinogen, which also causes liver disease. Because no comprehensive, long-term, independent study has ever been done that shows real life exposure levels for glyphosate, the safe level of glyphosate exposure on a daily basis is currently ZERO. By the way, do you doubt that you have pesticides/herbicides in your body? In 2005, the Environmental Working Group tested the blood in the umbilical cords of newborns and found 287 chemicals. How much glyphosate do you or your children have in your bodies? Click here to get your urine or water source tested for glyphosate. How much difference does eating organic for just two weeks make? This Scandinavian family eating a conventional diet (because clean food is “too expensive”) got tested for multiple pesticides/herbicides/fungicides. They then ate 100% organic and retested all five family members after two weeks.